2018 marks the 37th Annual Savannah Jazz Festival, the Lowcountry’s only entirely free week-long music festival featuring regional, national and international world-class jazz. Major investment provided by the City of Savannah Department of Arts, Culture and Historical Resources, and sponsored by Savannah Area Ford Dealerships, Miner Family Wines, The Marymor Family Foundation and others. The festival takes place in venues around Savannah culminating with three days in Savannah’s historic Forsyth Park September 23 – 29. 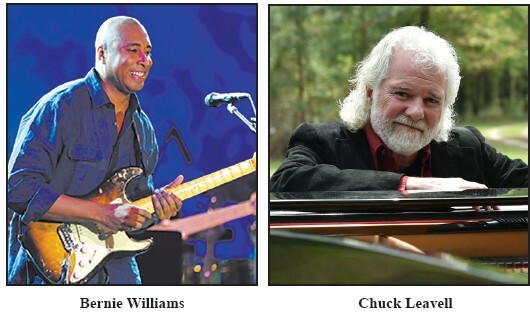 This year’s featured headliners include legendary pianist and keyboardist Chuck Leavell who has performed with esteemed bands and musicians such as The Rolling Stones, Eric Clapton, and The Allman Brothers Band just to name a few. This special performance will be the world debut of Leavell’s newest album “Chuck Gets Big” and will be accompanied by the Savannah Jazz Orchestra. Jazz and baseball meet when Bernie Williams headlines Friday evening’s perfor mances in Forsyth Park. Transitioning from centerfielder for the New York Yankees to center stage after a 16-year career in baseball and four World Series rings, Williams on a Savannah made Benedetto guitar will entertain concert-goers with his own style of jazz and tropical rhythms. For the first time ever, Savannah Jazz Festival will host a Latin Dance Party, featuring the 10 piece Salsa Afro-Cuban orchestra, LPT Salsa Band at the Ships of the Sea Maritime Museum for a night of salsa dancing. Other artist’s slated to perform include Bryce Eastwood, Robin Sherman, and Brian Miller. Regional greats including Teddy Adams, Howard Paul, Jody Espina, and Quentin Baxter will make appearances alongside festival acts. 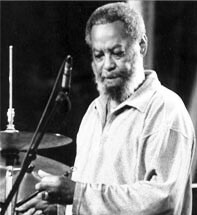 Traditional latenight jam sessions on three nights carry on the tradition of after-hours experiences when musicians engage in freestyle jazz. These sessions are the genesis of pure jazz; structured but in the moment.